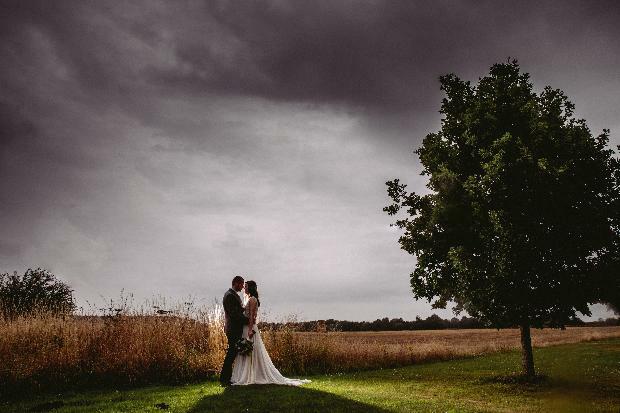 Vicki and Rollo created the perfect laid-back affair at Sandburn Hall. Vicki Elliott and Rollo Lunn first met at university in 2004. “He was living in halls with my friend Jen and I couldn't help but notice his bright orange cagoule,” the bride laughs. “The first thing he remembers about me is my cowboy boots, which were in fashion at the time!” The pair became close friends and soon moved into a student house together and became official. “I thought he was really good-looking and a true gent,” she says. 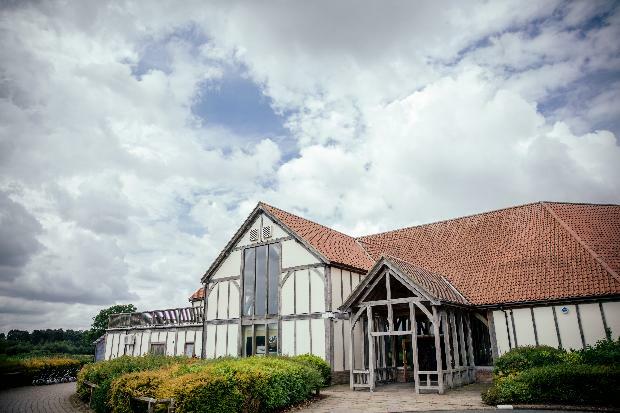 We loved the bright and airy barn-like feel of the venue, and it's in such a picturesque setting. 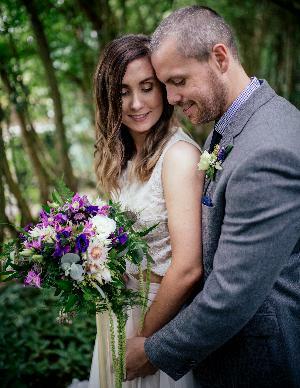 We had a rustic feel to our big day, with a colour palette of purple, yellow and white. 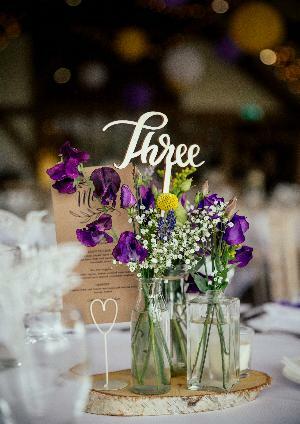 This was reflected in our pretty centrepieces of flower-filled bottles and candles on log slices. 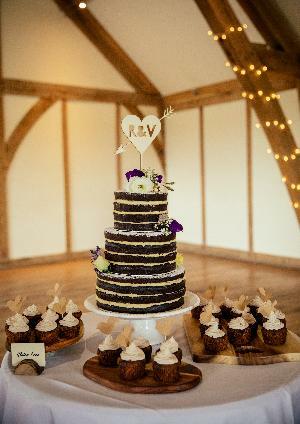 Our friend Rachel made the cake; it was three tiers of delicious chocolate sponge with her own mascarpone icing. She even made little carrot cupcakes to go with it. We decorated the sweet treats with flowers and a vintage cake topper that had been on my nanna and grandad's wedding cake in 1953! 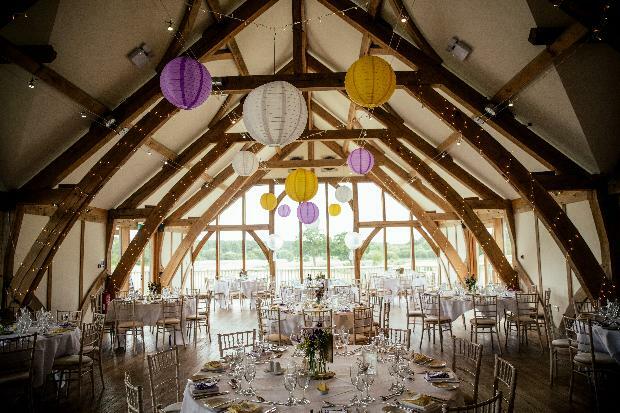 To keep with the relaxed vibe, we hung up paper lanterns, fairylights, confetti balloons and paper fans. 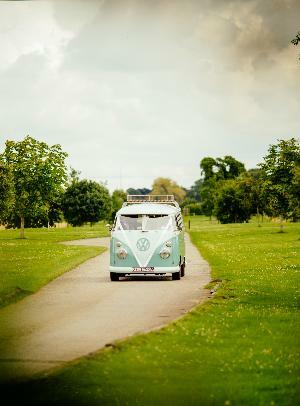 We hired a VW Campervan so my dad, my best girls and I could travel to the venue in style with a glass of fizz. 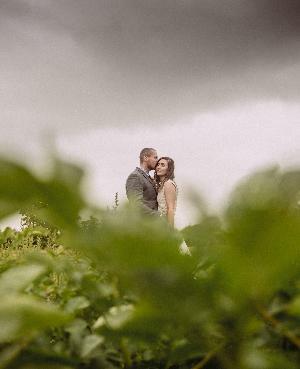 We went for a drive after the ceremony and got some photos too – it was such a hit with our guests. While researching, I kept being drawn to two-piece dresses because I felt they suited my style, but I was struggling to find what I wanted in a shop. 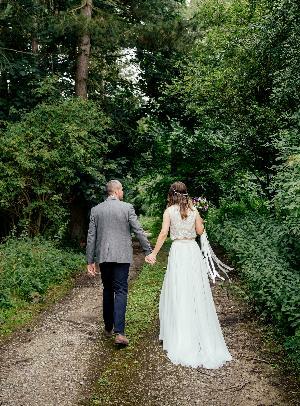 Eventually, I found the perfect outfit in Little Pearl Bridal: a Charlotte Balbier number with a mocha lining and ivory lace overlay. I kept the rest of my look quite low-key, with a pretty hair vine and pearl bracelets. 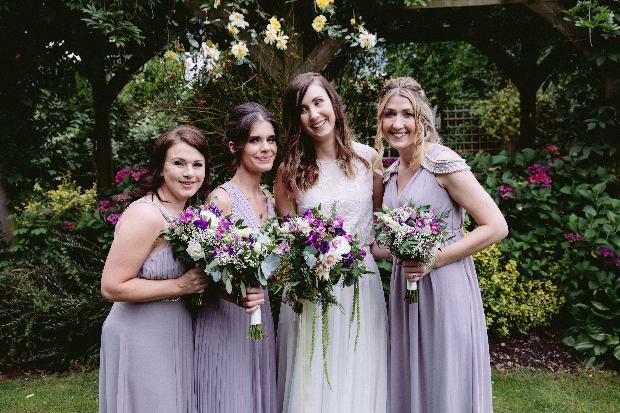 The first things I bought were my bridesmaids' dresses. They were all from the same collection, so I chose one colour but a different cut for each girl. Rollo put together a playlist for the day to show our personalities and tastes. 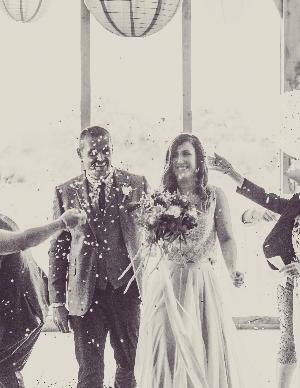 We came down the aisle to Fools Gold by the Stone Roses, and our first dance was to Just Like Heaven by The Cure. Rollo wanted a country vibe to his outfit, so he and his best man chose herringbone-tweed jackets, checked shirts and navy chinos. We booked a great band, The Players, after seeing them play at a friend's wedding. They have a cool setlist and don't play cheesy wedding songs. They were brilliant performers, and our guests loved them. 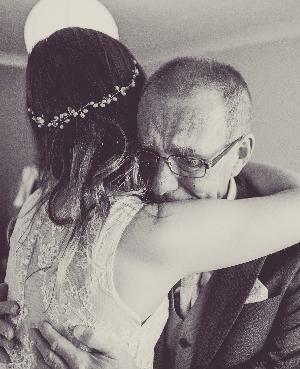 I was so nervous in the morning – not about getting married but about walking down the aisle. After that, we spent the whole day smiling. We were so happy to have all our loved ones together in one place. Our friends and family are spread out over the country, so it was wonderful seeing everyone catching up and celebrating.